Work injuries can be fatal. A study showed that more than 4,500 workers had died from the workplace injury in the last two years in the United States alone. California especially was ranked 2nd in the list of most frequent workplace casualties. 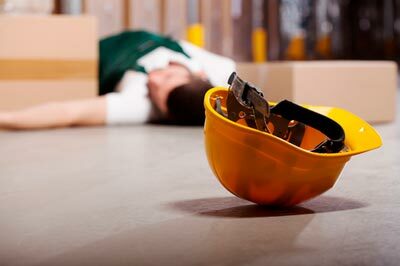 Although death from workplace injury could be another issue, an employee is supposed to sue an employer after a workplace injury especially if was due to the employer’s negligence of the safety of his/her workers. To weigh and put your legal options to fruitful use, you should hire a trained work injury attorney. Here in Hacienda Heights, CA, some of the most well-trained work injury lawyers are found in Rawa Law Group. We are a group of well-dedicated lawyers who have given their careers to standing up for injured people. We have helped thousands of people to win their work injury cases and receive their deserved payments and rights in full. We are just one call away from helping you handle your case while you have all the time to heal. We ensure that you have the full knowledge of your case and the necessary dos and don’ts so you do not make errors that will complicate the case further. We also ensure that you can meet with us at any time you can. In order words, you would enjoy flexible appointment hours when you hire us. We pay full attention to our clients even in severe injury and we make home/hospital visits when necessary. It would be a thing of relief to take advantage of our free consultation and hire a well-trained work injury attorney in Hacienda Heights today to help you see out your case.